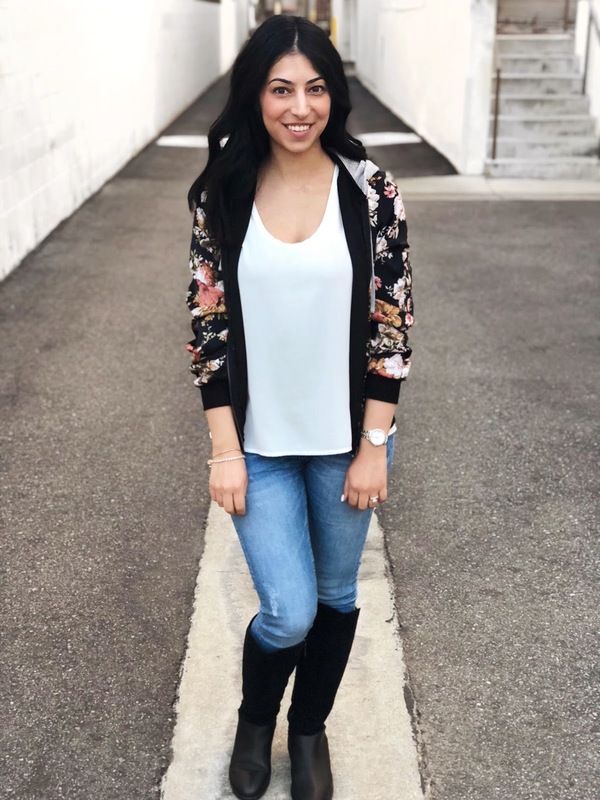 Okay so it's really no secret (especially if you follow me on Instagram here) that I'm kinda obsessed with the whole bomber trend. There's just something about the style that looks so effortlessly cool while still being super easy for anyone to pull off. Depending on the color (or print), it can be the perfect basic wardrobe staple OR a fun statement piece to finish off your look. Clearly I couldn't help myself and managed to pick up both -- simple black versions as well as more stand-out pieces like the pink Victoria Beckham x Target one or my two floral bombers. Whichever way you decide to go, I think it's perfect for Spring and looks super cute with jeans, dresses, denim skirts... the list goes on and on.